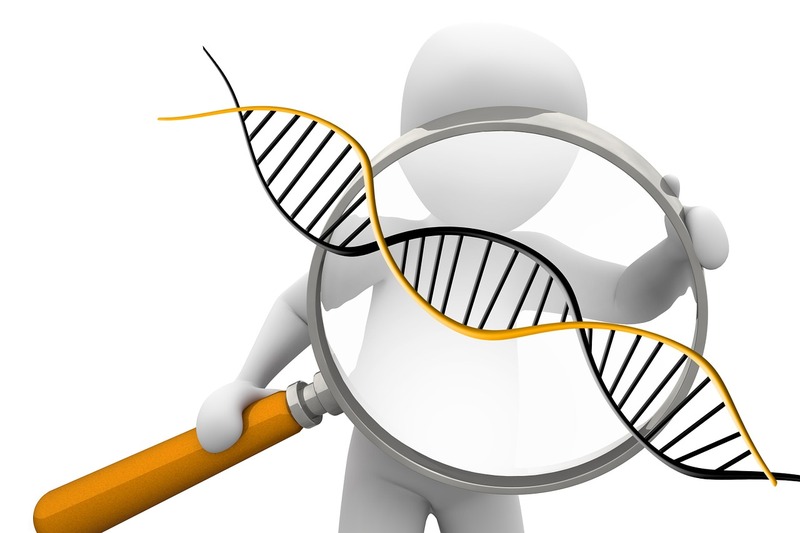 DNA – Have You Been Wondering About Genetic Genealogy? While I’m not an expert on DNA and genetic genealogy, I’m an enthusiastic student of this new method of genealogy. The reason I started to become interested in DNA is because in over thirty years of doing genealogy, I am still unable to verify my grandmother’s birthplace in Pomerania. I’ve traveled to what I believe is her birthplace, and have scoured the usual records available, but those efforts have resulted in no verification that she was born of the parents that her supposed brothers and sisters have identified as their mother and father. Many of those records are incomplete and perhaps lost during the many wars in northeastern Pomerania. I was hoping to find help and verification of her ancestry by taking a DNA test. It’s easy to get started with genetic genealogy by purchasing a kit and then sending off the sample. After waiting for results, you receive matches that show centimorgans, or measures of genetic material, that are similar to your genetic material. The idea is that the more genetic material that you share with another person, the more likely you are related. Your task is then to try to find a common ancestor that both you and your new match share. An expert, Blaine Bettinger, who has written a good book on this subject, “The Family Tree Guide to DNA Testing and Genetic Genealogy,” suggests that matches should be twenty (20) centimorgans or more. But before sharing your DNA results and ancestry with someone you don’t know, you should consider some of the considerations regarding the ethics of genetic genealogy. One of these considerations is that DNA might be full of surprises, and one should proceed with informed consent. You may find unknown family members that you never knew you had or a family member may turn out to be different– for example, your father isn’t really your father, or possibly in my case, the great-grandfather isn’t really my grandmother’s father. By the way, in researching my family, I had discovered a series of newspaper articles that surprised me and left me reeling. So, surprises are possible not only in DNA results, but surprises are possible in other sources such as old newspapers. Another consideration about the ethics of genetic genealogy is that a good match with 20 or more centimorgans may not respond to you once you’ve written to them after taking the DNA test. Perhaps the person is trying to recover from a discovery. For example, his or her living grandfather may have found out that he had a half-sister he never knew about who had been put up for adoption. Many times people have found things that no one expected. Ethical standards are involved when helping someone understand their DNA results because surprises are not lightly found, but can be frequently discovered. Let’s hope the person will eventually recover and answer you. We do view social situations differently today than they were viewed by earlier generations–even forty or fifty years ago. Illegitimacy was often considered inappropriate then. We need to keep this in mind when dealing with a “surprise” that affects someone of those earlier generations who is still alive. We need to be more sensitive to handle information with consideration, compassion and caring. Judy Russel is known as the Legal Genealogist and shares some things we need to consider around the ethics of genetic genealogy. Judy shares some of the legalities at her website, LegalGenealogist.com. Be sure to check out her ideas and posts. Another genetic genealogy site with tips is GeneticGenealogyStandards.com. These websites are both excellent if you’re considering DNA or considering contacting a match if you’ve already tested. Donna authored the book All about German Genealogy Research in Pomerania: With Specific Examples of Kreis Schlawe Research. She and her husband work very closely with the Pommern Regional Group of Minnesota. She also assists with the publication Die Pommerschen Leute, which was originally founded in Wisconsin and is now a part of the Immigrant Genealogical Society of Sacremento, California. Donna Brings a unique perspective to her writing, examining family history through a lens of cultural awareness and historical remembrance.